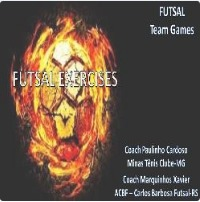 The e-book futsal exercises is the way how to teach futsal, what we are studying about the team sports. Our efforts were a try to show different futsal exercises, and what we are doing in our teams in Brazil. These drills improve the cognitive aspects, and can bring good results in the season. We believe that if you buy this “digital Kit” is because you want to make your sessions better, and we hope that we are helping you to become a better futsal coach.